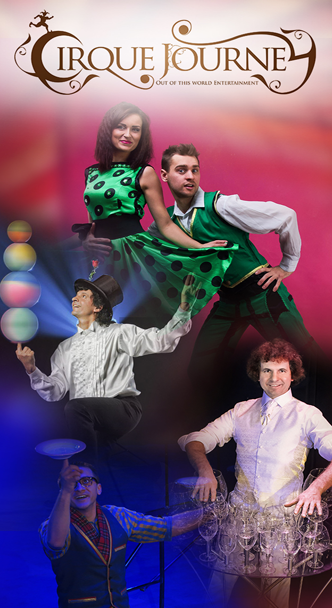 Cirque Journey Entertainment is a international artist mangagement talent agency. We find and deliver the best and most unique quality of entertainers from around the globe. Whether you’re needing artists for a corporate event, product launch, casino, theatre, Holiday Park or cruise ship we’ve got you covered. Our clients are our topmost priority. We will collaborate with you to cast & audition the very best. 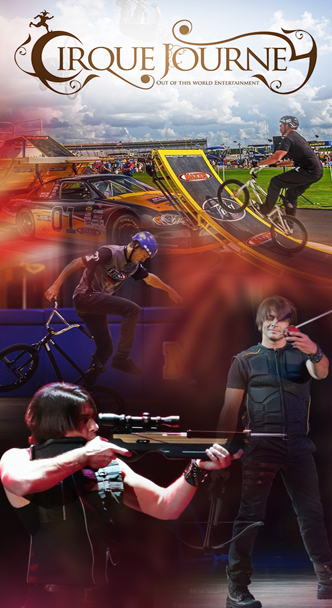 Contact us today and let us take your next event outside the box and to new soaring heights. We are dedicated to giving you the very best of entertainment services with a focus on dependability and customer service. *Discussing the details of your event and answering questions to determine your entertainment needs. *We will provide a broad list of Artists in the genre that you feel best fits your event, weather it be Solo, Duo or Group Artists. – Aerial or ground acts. – Small scale easy set up or Large-scale thrill acts. *We will then check and confirm availability for the Artists that you are interested in. *We put together an offer in a way that best represents your needs and interests for the event. *Negotiate with the Artist’s and place the offer. 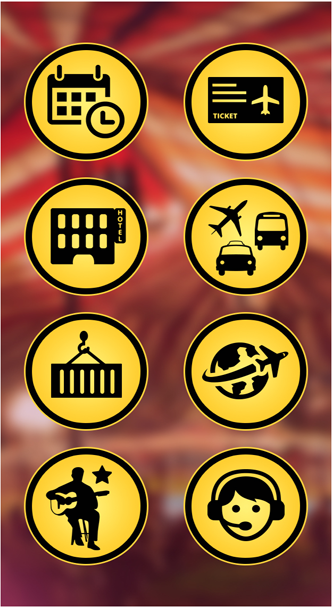 Once the offer is accepted, Cirque Journey will make the appropriate contracts on your behalf and send them to you for review and signature. *We then facilitate the contractual process and any negotiations between the event, Artist, and other agents. *Provide you with current Artists photos, bio, and other available publicity and/or media information to help you promote your event. *Remain available to you to answer any questions that may arise prior to the event and will retain copies of the contracts in order to answer questions from either the Artist or your organisation. 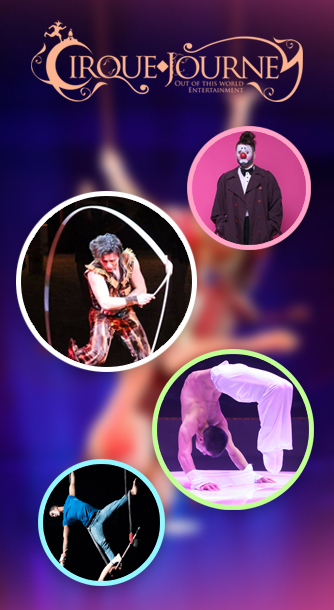 At Cirque Journey Entertainment Agency our staff are friendly and helpful, working with you every step of the way. Not only do we help you choose the perfect entertainer, We can help with Advertising, Production, Hotel and Travel arrangements. Also, both the Cirque Journey Agent, as well as the Entertainer will call you a few days before the show to go over the contract, and answer any last minute questions. Having the entertainer talk to the client directly puts the event planner at ease. 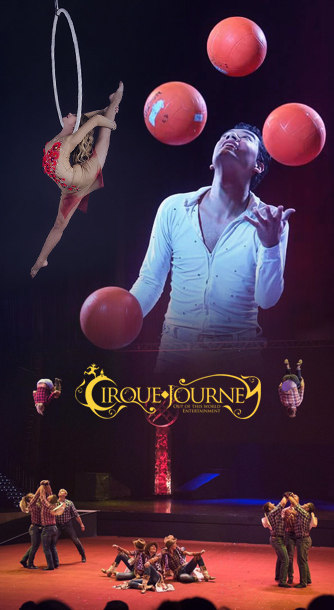 By choosing Cirque Journey Entertainment Agency, you are assured that your event will be a total success! 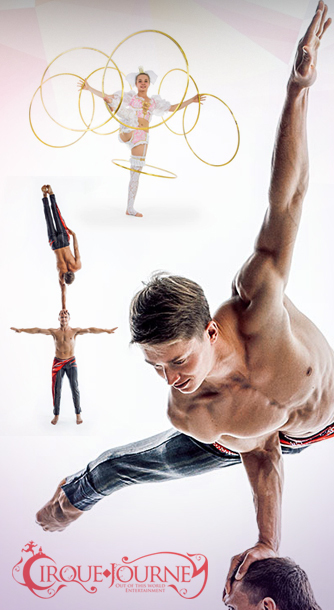 Cirque Journey Entertainment also features a core group of amazing Special Event Coordinators, directors and choreographers available on request to collaborate with you and design a world-class event or production. We understand what “performers” need, and what “buyers” need. Cirque Journey Entertainment Agency will NEVER take more than 10% commission from any entertainer. This way the savings are passed on to you, and the entertainer gets his fair price.